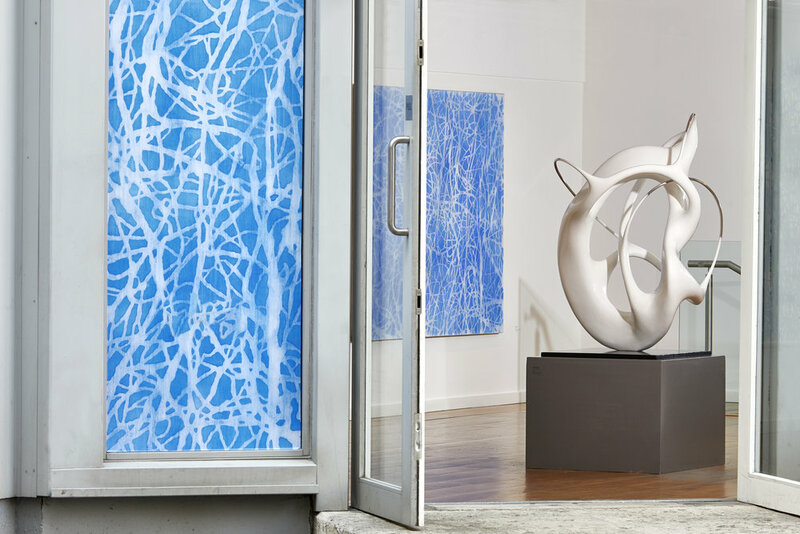 Both Ball and Barratt have exhibited in an impressive range of international spaces from the Goss Michael Foundation (Dallas), to the Peggy Guggenheim Collection (Venice), Paul Kasmin Gallery (New York) to Cass Sculpture Foundation (Sussex). Now they return to London to exhibit together at The Economist Building in the heart of Mayfair. In One and Other, the proximity staged between Ball and Barratt initiates an engaging back-and-forth exchange. Whether cut or carved, polished or painted, there is a palpable rawness in both Ball and Barratt’s work, a desire to expose as much as to conceal. Both push materials to their limits. Both create multi-layered objects which are not afraid to show the labour through which they have come into being. At the core of the show is a shared and ongoing preoccupation with moments of touch and departure: the relation between internal and external, fluid and solid, a paradoxical struggle to make permanent the elusive whilst maintaining its intangibility. In paintings, cut outs and sculptures, rhythmic lines allude to recognisable forms without succumbing to them. These forms shift in and out of focus, emerging and receding, expanding and contracting, caught in an unstable dance between the imagined and the intended, the familiar and the forgotten. The result is masterfully coded pieces which hang tantalisingly on the edge of understanding, works which echo complex patterns of thought in their irrepressible twists and turns. Despite their visual convergences, these practices emerge from fundamentally different creative trajectories. For Barratt, making sculpture is intuitive, beginning from a place of internal quiet, emptied of outside influence, a process of tentatively feeling the sculptural object into the visual world. 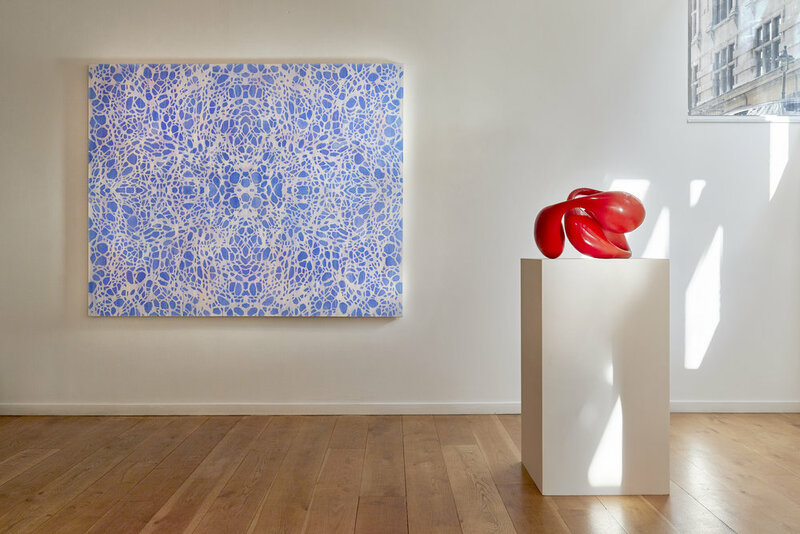 Meanwhile, Ball’s works are the result of closely observed and rigorously researched source materials ranging from images of his own DNA to digital mappings of human movement. This melting pot of visual stimuli deepens and builds before being edited and transcribed into seductively simple abstractions. At play in both practices is a tension between macro and micro, a sophisticated deliberation on issues of scale. Given this, it is hardly surprising that both artists are widely acclaimed for their monumental public works. Ball came to prominence in 2002 after installing a 10 metre-high painting in London’s Golden Square and is currently working (in collaboration with HOK Architects) on a 3 x 16 metre lightbox to be permanently imbedded on the outside of Papworth Hospital in Cambridge. Over the past 25 years Barratt has placed numerous public sculptures across the UK and internationally; most notably Skyline 5 x 5 x 7 metres commissioned to celebrate Liverpool as European City of Culture 2008. For this exhibition Barratt will install Turning Point in the centre of the The Economist Plaza, returning to a space where he first exhibited with the New Art Centre in 1992. One and Other will run 21 March - 8 April. This powerful show marks the coming together of two exceptional artists and is certainly not one to miss. 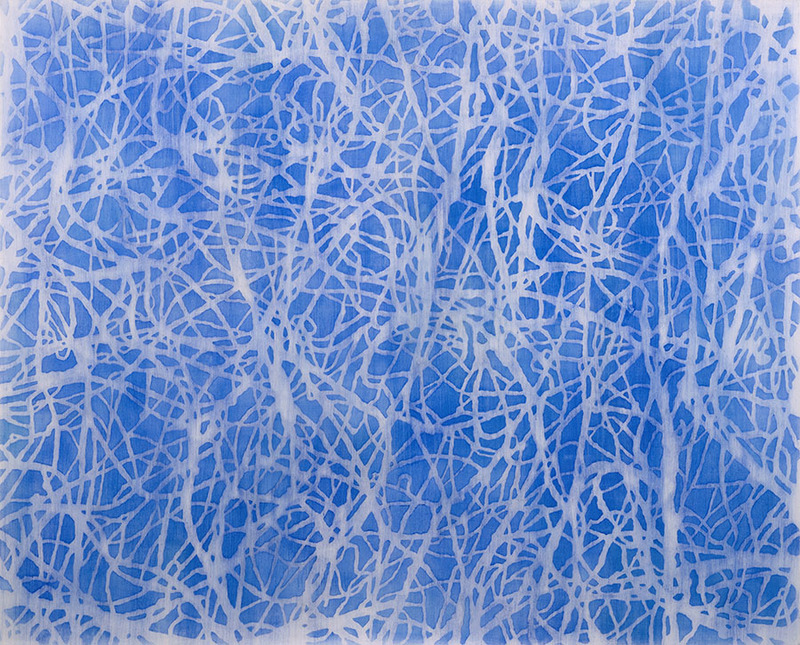 Born in 1977, Adam lives and works in London and has exhibited in galleries internationally, including Paul Kasmin Gallery, New York; Dallas Contemporary, US; Goss-Michael Foundation, Dallas; Gagosian Gallery, New York; galerie laurent mueller, Paris; ARCO Madrid; Centre of Contemporary Art, Bahrain; Bait Al Zubair Museum, Oman; Pharos Arts Foundation, Cyprus; The Jerwood Space, London; ICA, London and CCA, Glasgow. Adam completed a Foundation at Byam Shaw School of Art in 1996 and a BA in Fine Art at Newcastle University in 2000. Based in Kent, England, for the past 25 years Oliver bas been creating work for exhibition as well as working on both private commissions and public projects. 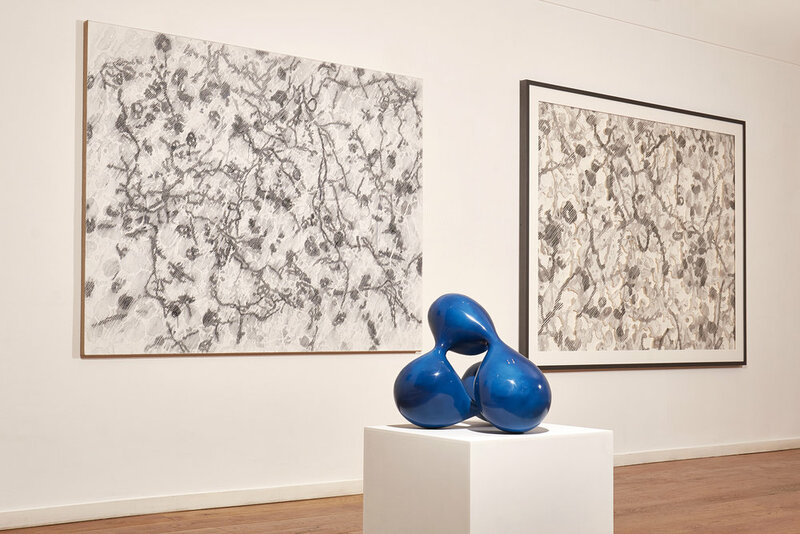 He shows regularly in the UK and around the world, including Peggy Guggenheim Collection, Venice; Cass Sculpture Foundation, Sussex; New Art Centre, Roche Court and Royal Academy, London. His commissions range from the Everest Memorial at Base Camp of Mount Everest, Nepal; to Skyline to celebrate Liverpool as European City of Culture. Born in 1962, Oliver studied sculpture at Falmouth School of Art graduating in 1985. He was awarded the Henry Moore Fellowship in 1990.